If you are serious about building a long term internet business, you’ll need to use a variety of tools and services to help you get where you want to be. On this page, you will find anything and everything that I use in my daily internet marketing endeavors. Some things are pretty basic and every marketer should have them. Others are simply optional depending on the path you are taking and how you intend to market whatever it is you’re promoting. While there are ways to build a business online without owning your own website, creating a site and establishing your own brand improves your chances of long term success. There are a ton of options out there to get things set up, so I’ll simply share a few that I currently use or have used in the past. Most of my sites are registered at Moniker and have been for a number of years. For those of you who are already members of the Wealthy Affiliate Community like me, or are considering joining, Premium members can purchase their domains with free privacy protection and SSL. As a Premium member, hosting is included. Even though I own multiple domains, I don’t try to find the cheapest registrar simply because the savings isn’t worth the hassle of changing registrars every year. These days, you’ll find that many registrars also offer hosting services. As for hosting, most of my sites are hosted at HostGator and as a Premium member of Wealthy Affiliate, I’ve taken advantage of the hosting that is included with membership there as well. Okay, now that we have the basic domain registration and hosting out of the way, here are some tools and services that can help you with the marketing and research side of your internet business. Although I have yet to really get much going with my video marketing efforts, these are the two that I’ve settled on at this point. If I’m working on my PC or laptop, I use Screencast-O-Matic. They have both a free and a Pro version for their customers. Lately, I’ve been doing a fair amount of work on my Chromebook, so Screencast-O-Matic is not an option. If I need to do a video while working on the Chromebook, I have Screencastify. Again, they have both a free(Lite) version and a paid(Premium) version. Naturally, there are a million other video recording and editing options out there. Try out the two above or find something else that works for you depending on your methods and/or budget. If whatever you are promoting is actually worth promoting, you’ll probably find some stiff competition to get your site(s) ranked on page one of the search engines. A good keyword tool can help you find some hidden gems among keywords that can possibly help you rank better and start developing traffic to your site a little bit faster. You may start noticing a theme here, but for keyword research, I currently use Jaaxy, which was developed by the crew at Wealthy Affiliate. Alternatively, as a Premium member, I could use the Keyword Tool that is included. I chose Jaaxy because I can get a little bit more detailed info. Even with the rise of so many other forms of marketing and promotion, the saying “the money is in the list” still applies today. Email marketing may evolve, but it may never die. 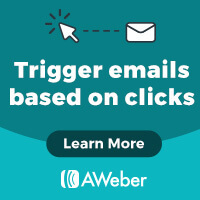 I manage my mailing lists and email marketing with Aweber. They’ve been around for a long time and are a reliable company. A couple other great options are GetResponse and Constant Contact. Both of these companies have also been around for a long time.